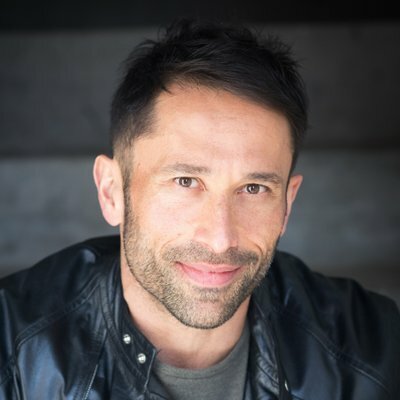 Italian-born Mark Brandi graduated with a criminal justice degree and worked in the justice system before changing careers and becoming a writer. His debut novel Wimmera won the British Crime Writers’ Association Debut Dagger and was named Best Debut in the 2018 Australian Indie Book Awards. It was also shortlisted for the Australian Book Industry Awards Literary Fiction Book of the Year and the Matt Richell Award for New Writer of the Year. Mark has also contributed to many publications including The Guardian, The Age, The Big Issue and Meanjin. He started writing his latest book The Rip in July 2017, just after Wimmera was released. You’re on the record as saying that your involvement with Writers Victoria helped you as a writer. Tell us about that involvement. Did you sign up as a member? Do a workshop? Work with a mentor? Get a manuscript assessment? When I first signed up as a member, I wasn’t yet brave enough to call myself a writer. But I found the quarterly magazine The Victorian Writer helpful, with articles on the writing life, tips, and prize opportunities. What difference did this experience make to you and your writing? The first big moment was in 2014, when Writers Victoria ran a competition offering emerging writers the chance to submit a synopsis of their current work, with the best entry judged publisher Aviva Tuffield. I was lucky to be selected as runner-up, which was the first time my novel manuscript (Wimmera) had been awarded. More importantly, I received feedback that would prove invaluable to the novel’s development. A year or so later, as I was getting close to completing Wimmera, I was selected for the Writers Victoria Personal Patrons program. This gave me access to a writing studio at the Old Melbourne Gaol, where I was able to put the finishing touches on the manuscript. When did you decide to leave your full-time job and what would you say to emerging authors that are considering doing the same thing to be able to concentrate on their writing? It’s a tough decision, financially risky, and not one that should be taken lightly. For me, I decided to leave full-time work and focus on writing after a serious bicycle accident gave me a sharp reminder that life can be very short. I was also fortunate to have a bit of a lucky break, which gave me some breathing space financially. It depends on your individual circumstances, naturally, but also your personality. I’m probably a bit of a risk-taker – I needed to put more on the line if I was going to give writing a proper crack, and not feel like a hobbyist. I felt that my first novel required all my energy and attention to produce the story I wanted to tell. Luckily, it was worth the risk. But many other writers find their craft enriched by their day job (while also paying the bills). But if you do decide to leave full-time work, be sure you are mindful of the risks, and that any financial reward may be small (and a long time coming). What kind or support or resources are most helpful to you as a writer? Writing can be a lonely business, so knowing others are facing similar challenges can give solace in the tougher moments. I like reading about how other writers approach their craft, but am also mindful that everyone has to find their own path. What works for one person may not work for another, so I’m fairly discerning about which tips I take on board. Naturally, I also like reading great writing, especially from emerging writers, and The Victorian Writer magazine always offers something worthwhile. Based on your own experience, what advice do you have for aspiring and emerging writers about engaging with their local writers’ centre? Without hesitation, you should sign up for a membership. In terms of what might be the best support for your writing process, this will vary. But there’s such diversity in what’s on offer, you’re bound to find something useful. You’ve also done some tutoring, what do you enjoy most about being a tutor? In writing, as with most art forms, there are no right or wrong techniques. For every piece of writing wisdom, there is often a conflicting piece of advice – it’s really about finding what works best for you. In general, I find practical exercises to be the most beneficial in a writing workshop. It’s amazing what can be produced in a short space of time, without overthinking the task. Indeed, my first novel began as a prompted writing exercise in a short story class. The bottom line is that you only become a better writer through the act of writing – there are no shortcuts. I’m grateful for the opportunities and support Writers Victoria has given me – we’re lucky to have such an exceptional organisation supporting Victorian writers. 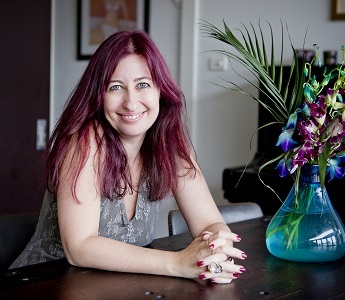 Lee Kofman is a Russian-born, Israeli-Australian writer. She wrote the critically-acclaimed memoir ‘The Dangerous Bride’ (Melbourne University Press, 2014), co-edited the anthology of personal essays ‘Rebellious Daughters’ (Ventura Press, 2016), and her short works have been widely published in Australia, UK, Scotland, Israel, Canada and US, including in ‘Best Australian Essays 2012’; and her blog was a finalist for Best Australian Blogs 2014. Her latest release is the creative non-fiction book ‘Imperfect’ (Affirm Press), published in January 2019. Lee joined Writers Victoria in 2002 and since then she has been involved with the centre – today she is one of our tutors and writing mentors. Lee, who also holds a PhD in social science, says WV was crucial in her development as an Israeli-Australian writer. Tell us about your involvement with Writers Victoria. I signed up as a WV member in 2002. Since then, I’ve never let my membership lapse. Over the years I did some workshops, which were great, and attended many events where I could meet my peers. Since 2007 I’ve also been involved with WV as a tutor and mentor, and I was their blogger-in-residence from 2013 to 2016 − something I greatly enjoyed but had to stop once I signed simultaneously two book contracts with fairly tight deadlines. An enormous difference! When I first discovered WV and joined as a member, I’d been in Australia for just three years. I had three fiction books published in my previous country of residence, Israel, but zero knowledge of the local literary scene. Joining WV was crucial for me in getting the courage to transition to writing in English and defining myself as an Israeli-Australian writer (as opposed to just an Israeli writer). For a long time, WV was my chief, if not only, source of knowledge about local publishing opportunities, various writers’ festivals which I’ve since attended greedily, and available literary grants and residencies some of which I later went on receiving. It was also thanks to WV that I began meeting other writers and forging literary friendships. In short, the centre was crucial in helping me feel that I hadn’t lost my writerly identity despite my migration. But that wasn’t all. It was also WV’s ‘fault’ that I discovered the writing genre that I’ve become passionate about – creative nonfiction. It was in their magazine that I saw a call for submissions by ‘Griffith Review’, asking for personal essays on the theme of communities. At that time, in 2003, I had never written a personal essay (nor read many of them), but ‘communities’? What freshly minted migrant will not have something to say on the subject? So I wrote a piece about how, of all places, it was in Australia that I, a second-time migrant, reconnected to my Russian roots after meeting Russian-Australians. Writing that essay made me realise that this type of writing was what I wanted to focus on for the next many years. As if all what I’ve listed so far isn’t enough, WV was also one of the first places to give me the chance to launch my career as a writing teacher and mentor. I had some experience in both occupations when I began working with them in 2007, but not extensive. Plus, I was then still a fairly new, and heavily-accented, migrant. And yet WV gave me the chance, employing me, and I’ve since been working with them regularly for 11 years now, and went on doing similar work in many other places in Melbourne and all around Australia. Finally, when in 2012 I approached WV with a proposal to do monthly blog posts, or rather mini-essays, unpicking the writing process, WV responded fast and enthusiastically. Doing that blog was vital for me both in finding new audiences for my work, but even more so in honing my understanding of the writing process. And later I continued this blogging privately on my website too. To sum up this obscenely long response, WV has played not an important but an essential part in my becoming a part of Australian literary scene as a writer, teacher, mentor and blogger. What advice do you have for aspiring and emerging writers about engaging with their local writers’ centre? You can never join in early enough! In fact, every time I teach a course or a workshop which isn’t based in a writers’ centre, or begin mentoring a writer, I urge them to get involved with a writers’ centre. I know I may sound like some promotional ad, but I seriously believe that the main antidote to that famous writer’s malady – loneliness, isolation – is in hanging around with peers. Today writers’ centres seem to serve a similar function to that of literary salons from the previous centuries.